That's true and it will only get tougher in future. Laos also makes it tough to get a visa for these nationals if not resident in the country they apply in. Or they might need to go on a tour. I am not confident this Nigerian guy you met would have been issued a Lao visa. They require the purchase of a tour package, local guarantor and return flight tickets so going in by bus is a no-no unless a multiple entry visa that has been previously used has been issued but Laos does not routinely issue anything other than single entry visas. A little off topic, but the USD advice is old news. Since late 2012, all banks that deal in foreign exchange (the best are CB Bank and KBZ Bank) can exchange three currencies: USD, EUR and SGD. There are however plenty of official money changers that take other currencies including AUD, CHF, JPY, MYR, THB, GBP and even CNY and possibly a few other major currencies such as HKD and NZD all at good rates and these money changers are plentiful in Yangon and Mandalay including their respective airports. Near the Chinese border nearly everyone deals only with CNY and not USD. ATM's are nearly everywhere now even in some smaller towns although maybe not in the most out of the way places. Again, CB Bank and KBZ Bank ATM's are reliable and work without any problems (except in rare cases) however, if you're in Yangon you'll have like 100 other ATM's to choose from in case one is down but I didn't even have problems from the one ATM in Hpa-an for example. Even Mu-se now has 3 ATM's in case you happen to pass through town once the border crossing opens officially. I just came back from Mu-se to deliver some goods to the border with China. I was in mu-se for one night at the beginning of this month. This was my second trip to the area the first time being in 2013. The procedure to enter the Mu-se economic zone is much the same as 2 years ago. You will have to show your passport at the 105 mile checkpoint with a sign in English, Burmese and Chinese indicating this. There is a certain sense of paranoia amongst the local immigration guys who will assume you are coming to cross into China and will ask for your permit. After telling them you don't have one as you just want to stay in town and then turn back and return to the interior of Myanmar, a few phone calls to the head immigration guy at the border some 10km away they'll let you go. But then you still have to fill in an accommodation registration slip and report in person to immigration. The procedure was thus identical to 2013. However, last time the immigration guys at the 105 mile checkpoint were rather easygoing with immigration at the border a bit stern. This time it was the exact opposite: 105 mile checkpoint was paranoid but border immigration very quick and quite friendly. Note that leaving the zone for other parts of Myanmar also requires checking in with both border immigration and 105 mile however, that was a very quick process compared to arrival in town. If you have crossed over from China with a permit it might take longer though. Apart from myself and a friend, I spotted only one more foreign looking individual in town on the back of a pickup. However, this may change once the border crossing opens officially to all - Chinese, Burmese and third country foreigners with passport and relevant visas (if required). Although there has been talk of an imminent opening of the border since various news sources first announced it in late 2013, about half a year since I first went to mu-se, the opening dates have been delayed again and again. But the good news is that the immigration complex at the border, which is under construction is projected to be completed soon in order to allow the passage of third country nationals. This construction should be finished around June and allow the upgrading of the border to international status to take place between June-August according to various news sources and Myanmar immigration. While this is quite good news, I wouldn't hold my breath as further delays wouldn't surprise me. Although I am confident the border should be opened fairly soon in time for the Aec 2015 ASEAN economic community, a priority for all ASEAN member states including Myanmar. The recent outbreak of fighting near the Chinese border some 100km east of mu-se at Laukkai shouldn't have any effect on the Mu-se-Ruili crossing because 1) the Mu-se-Mandalay road is under full government control and an important trade corridor and 2) the Laukkai area, which is not under direct government control is not anywhere near Mu-se and therefore one will be able to pass through the border from Mu-se to places like Lashio, Pyin u lwin and Mandalay without passing through any dangerous areas/territory in much the same way that the Thai-Myanmar border crossings allow you to cross into the Myanmar interior along main roads even if there may be instability in the hills not too far away in some cases. Like last time the only Chinese in town appeared to be Ruili locals and no Chinese were crossing at night. Perhaps because they're not allowed to. @tigertiger nowadays Vietnam generally only allows Lao and Vietnamese registered vehicles to cross their common border. Only pre-arranged tours can enter otherwise for vehicles registered in other countries. I'm afraid you won't be able to enter Vietnam on a Chinese registered bike (or car for that matter) unless maybe you go on an organized tour with arrangements made at least a month in advance. There is no way you will be successful if you attempt to enter independently and forget about trying to enter from Laos to Vietnam as the Lao authorities won't allow your bike to leave their territory. The Vietnamese consulate is no use so go to www.ride-asia.net or gtrider.com for more detailed info. Good article but a few inaccuracies. This border crossing opened as an international border to foreigners in possession of Myanmar visas on August 28, 2013, not only 2016. Since then it has been possible to visit this area then proceed to other parts of Myanmar by air (or vice versa). The on-arrival permit system for foreigners without visas is still in place, reportedly the requirement to have a guide (for 1000 Baht a day and payment must be in Baht) is still in existence if you don't have a Myanmar visa, but with the e-visa system now it would seem rather odd not to go for a Myanmar visa even if you're only going to Kengtung and coming back the same way - you'll even save money by not needing a guide. 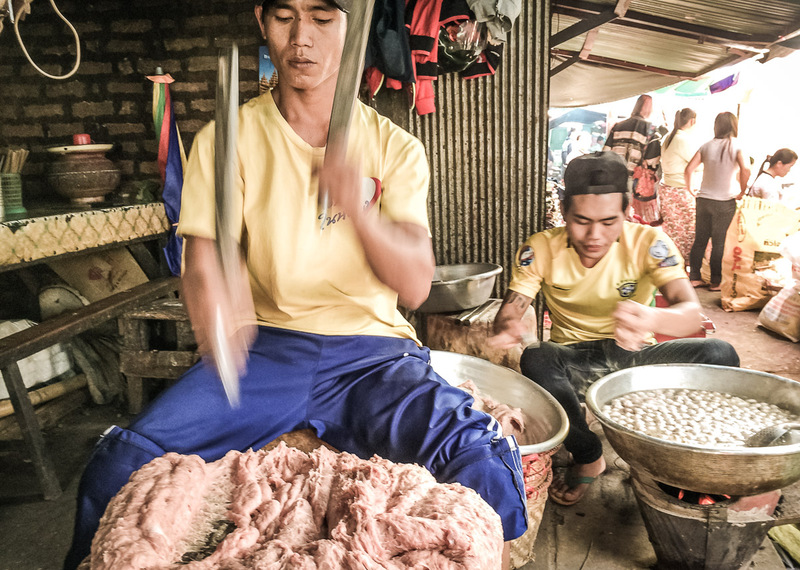 You can always hire a guide for trekking around Kengtung. Of course, a guide may also come in handy if you intend on traveling by car with driver, however, it is not possible to travel west of Kengtung towards Taunggyi by road, except with a permit, though I hear none have been issued since around Dec 2016. Many thousands of Thais cross the border between Mae Sai and Tachilek daily, so the author is greatly misleading readers when he claims only 5000 crossed last year. If he meant 5000 non-Thai foreigners, he may have been right but there are surely as many (if not more) Thai daytrippers crossing this border as has been the case for years, as Chinese who cross to Mengla or Muse from their respective border towns on the Chinese side. This is partially the case due to Mae Sai being an official border crossing for many years (by comparison, Mengla is not an official crossing even for Chinese) and there is a large market on the Burmese side that Thais like to visit. LOL, of course. If you can't beat 'em, join them as they say. In other words, if Trump wanted to run in Europe, he'd have to emulate "Conchita Wurst" whatever that thing is. @Alien, you are right about the nationalist "protecting our country from ....." part, which is indeed a smokescreen that most people still fall for. As for the opposition that I referred to, the real patriots, liberty and freedom loving people etc. are generally not tied to any political party because they are able to think outside of the two party paradigm. Traditionally they probably thought of themselves as conservatives, however, these days not that much separates the democrats and republicans anymore as they both largely run the same agenda even if they use slightly different means of getting there. Libertarians would be closer, but even that's not specific enough as some Libertarian candidates aren't true enough to the core values of that brand if you will. "Conservative Libertarian" is perhaps the closest term that describes what I'm referring to. There are certainly Europeans who share these values, but far fewer than Americans. As for the student who made the speech, it's hard to say exactly what she meant because I didn't hear her whole talk, only read this article. 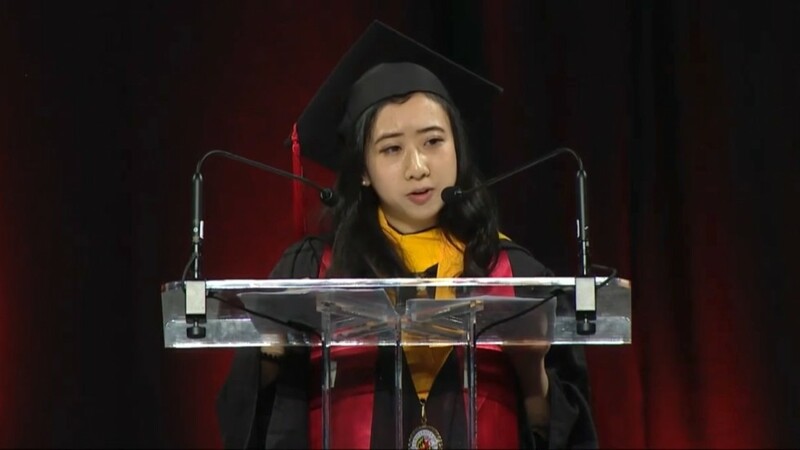 However, I suspect that she, like many others are successfully drawn into the whole ideology that students are taught at American universities and this not only made her worldview conform to these values, but she has probably been so convinced that these "progressive" values are what makes America great and what China should strive for. @Peter99, LOL. Yeah nihilism seems to have replaced any sort of sense of self-worth, self-preservation or pride in one's being, culture and overall values in Europe. It's disturbing, though sad more than anything. At least China still clings onto most of these things. Not that everything traditional about say Chinese culture is good, or that change should be rejected at all costs, but preserving the most important cultural values and having at least some sense of history and identity is important. Otherwise I think there's not much purpose to life. @Peter99, 100% agree with you. It's insane the way things are going now in Europe, in many ways it's even worse than in the USA because you have almost no conservative opposition in Europe. The patriotic, freedom loving revolutionary spirit is still strong in the US, but it's fading fast in Europe. China and most parts of East Asia are a refreshing change, which makes living here so refreshing, in many ways. At least that's been my experience over the years. @Alien, you make an excellent point but the US is not making wars/regime change for nationalist purposes. It's actually for the exact opposite reason, which is to advance the interests and pockets of multinational corporations like Boeing, Raytheon, Lockheed Martin big oil companies and many others (and of course the big banks and big oligarchs) for whom nationality and patriotism is meaningless. I am absolutely 100% opposed to all imperalistic US-led actions since the late 1800s, all these wars were unnecessary and have brought with them untold misery. I used to buy all that bull about China being a "dictatorship" whenever the NY Times, The Washington Post or The Economist used to bring it up in my younger days, but I've since become much wiser now that I can predict their writing style in my sleep. Hence why I now frown every time I read a story similar to this one - the writing style, the things said are always pretty much the same.